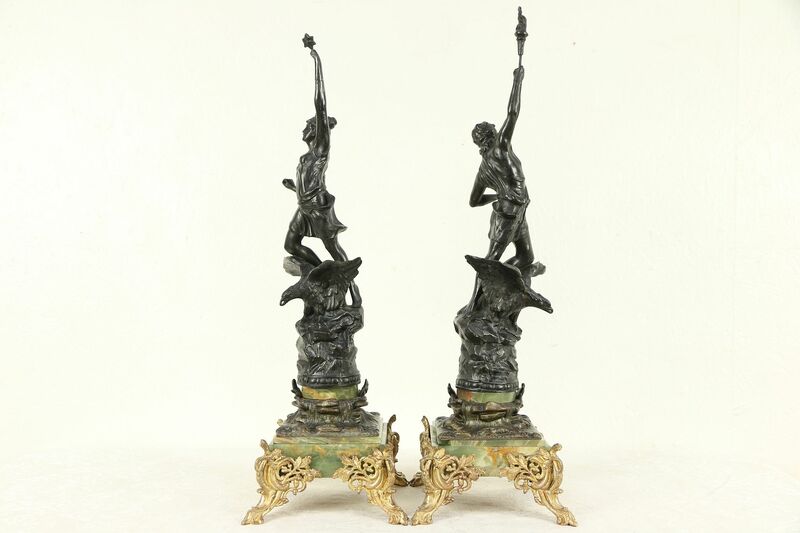 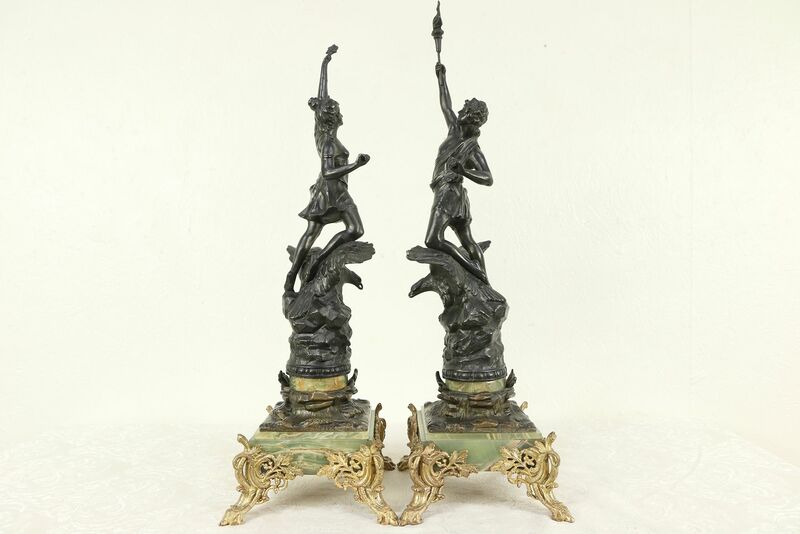 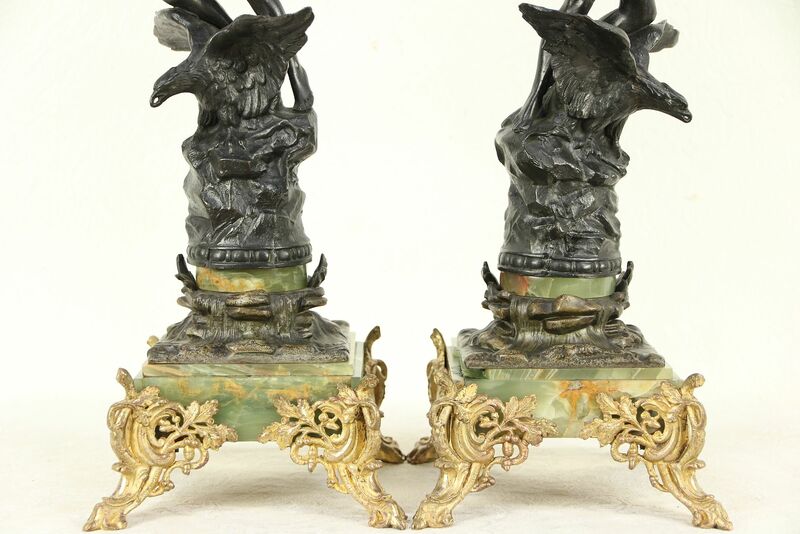 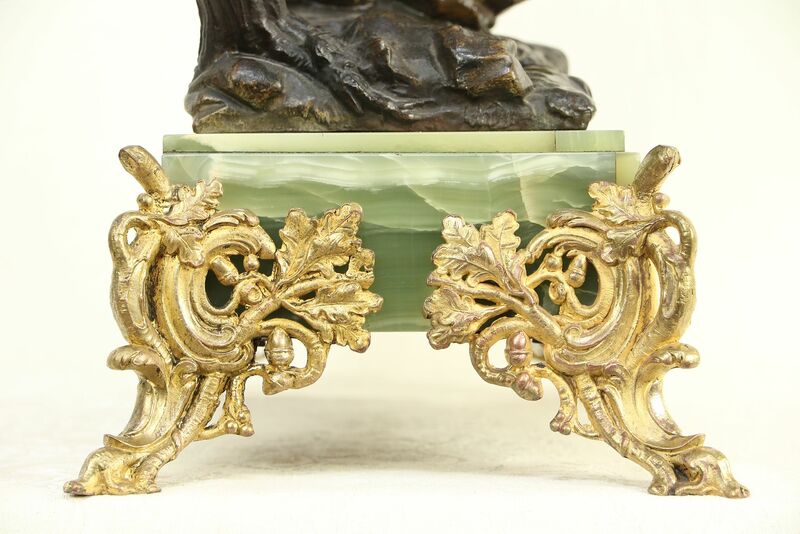 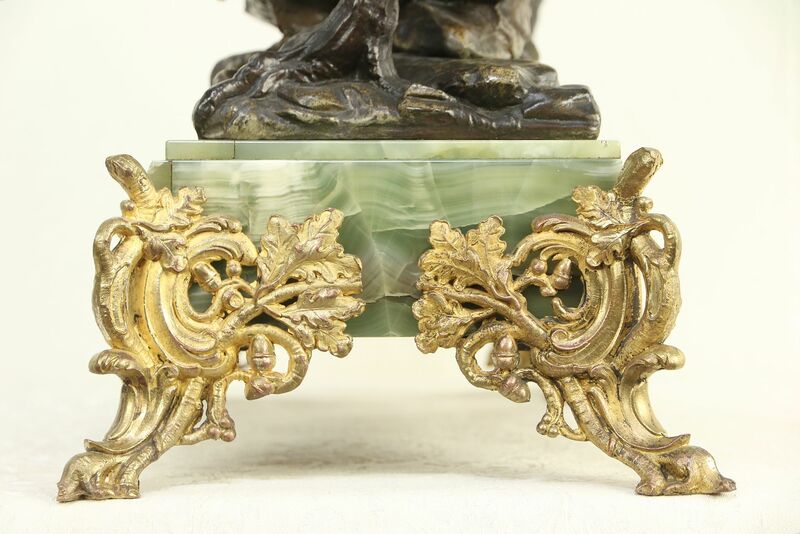 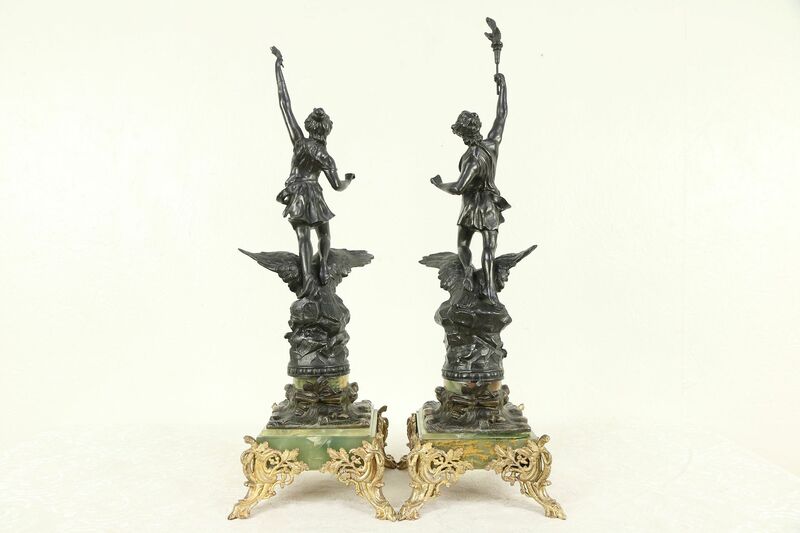 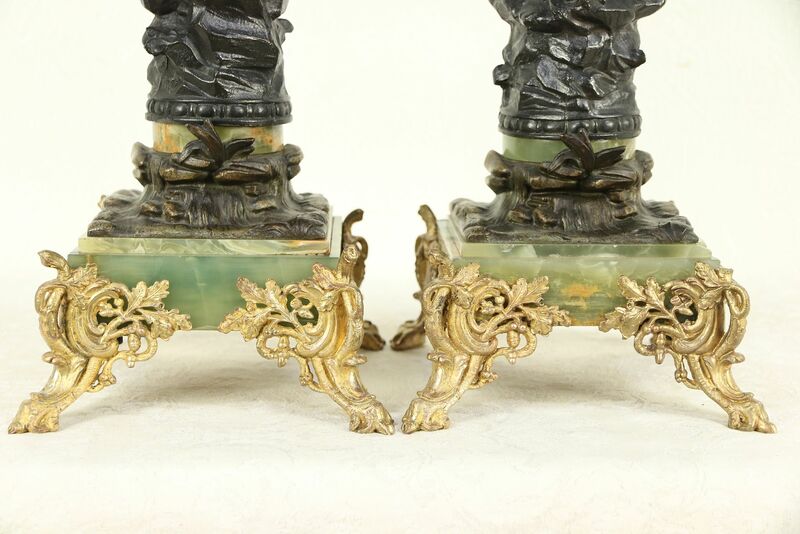 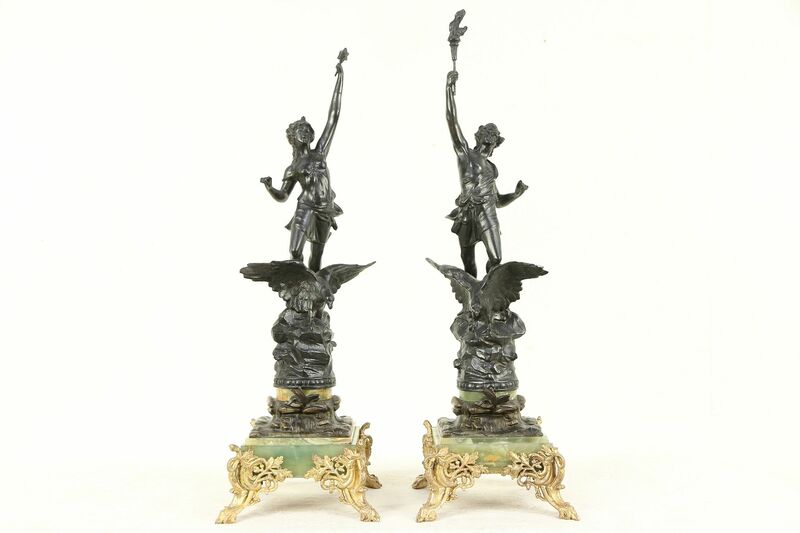 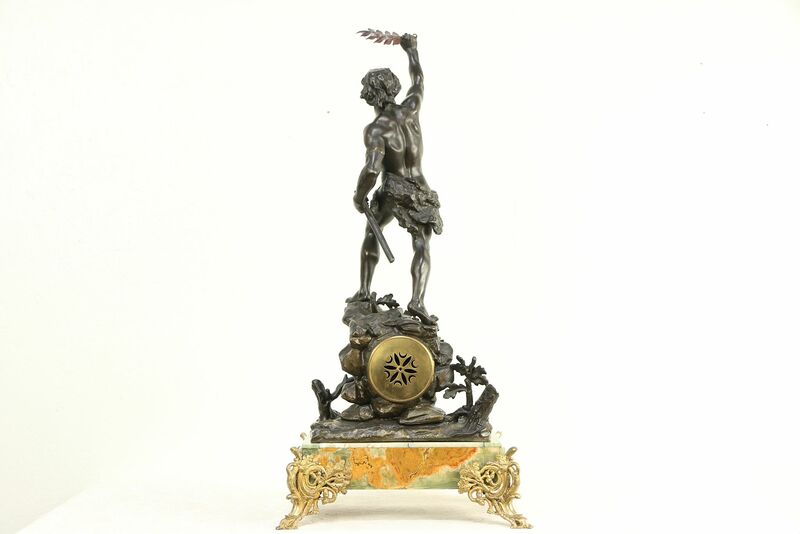 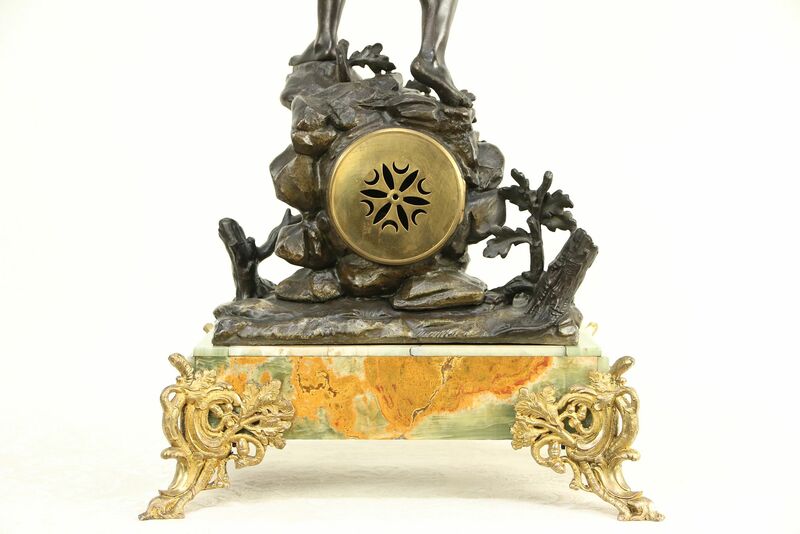 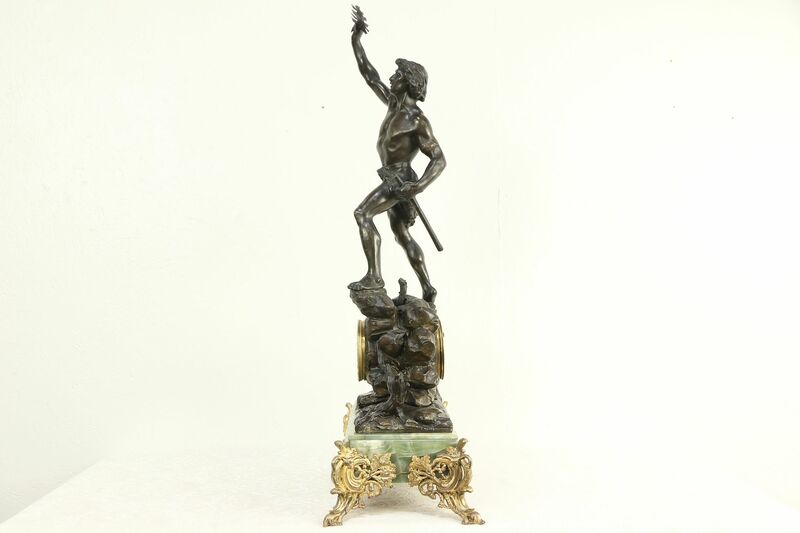 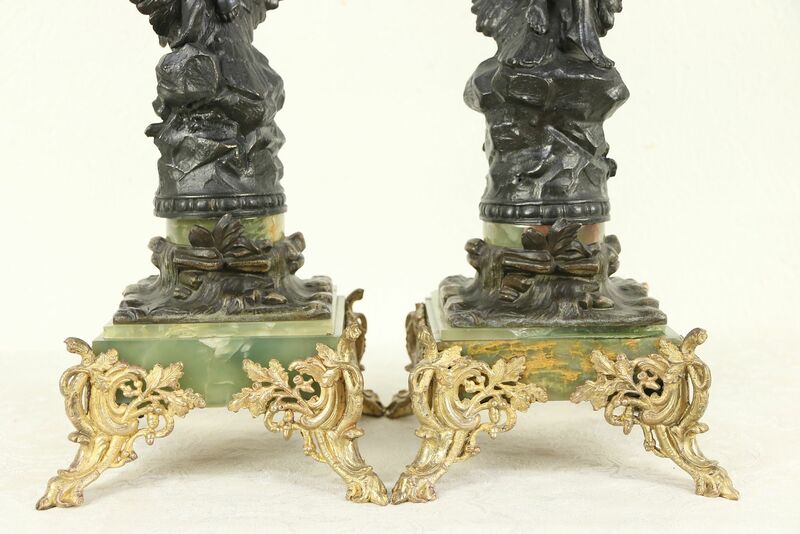 An elegant French mantel clock set is genuine onyx with sculptures of heroic statues and an oak leaf and acorn motif. 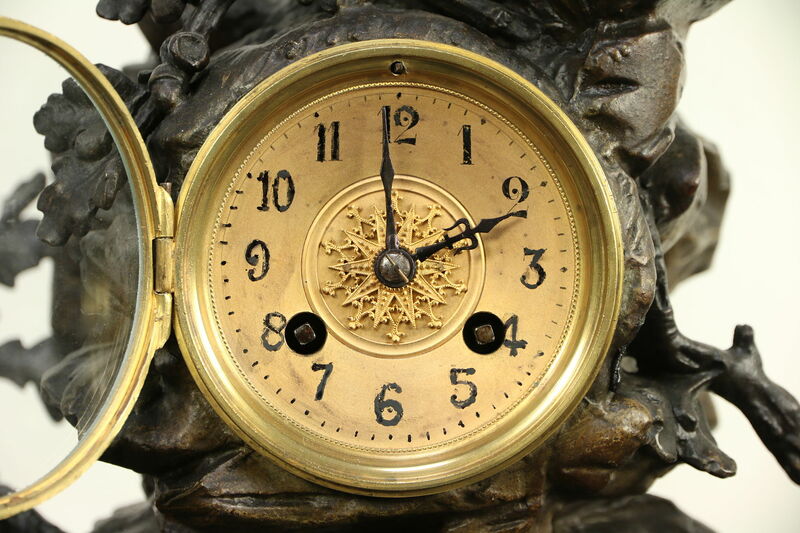 Dating from about 1890, the movement is signed by famous makers, "Japy Freres." 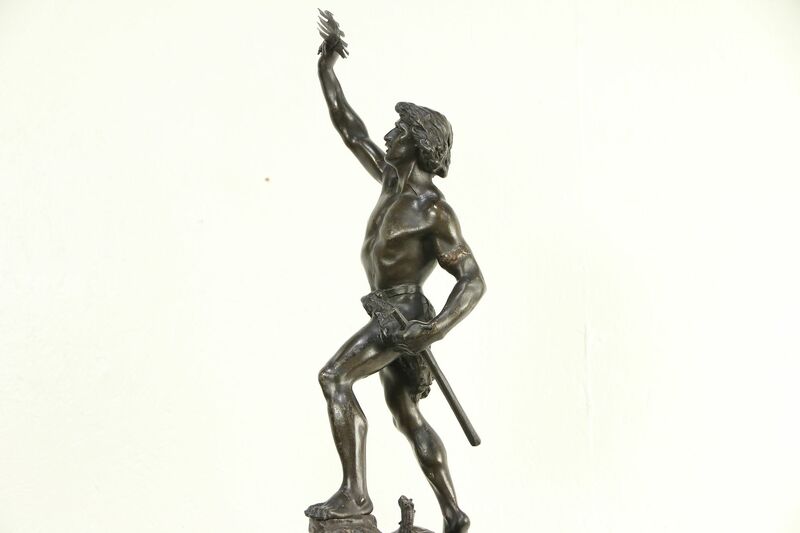 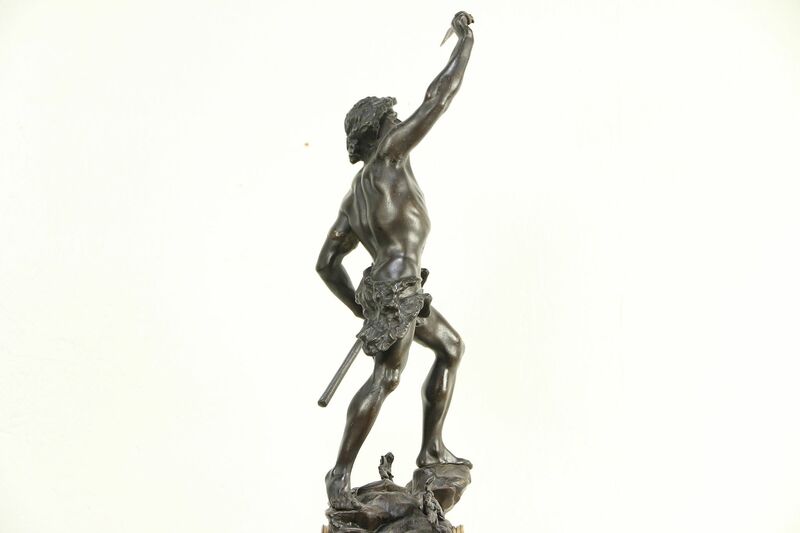 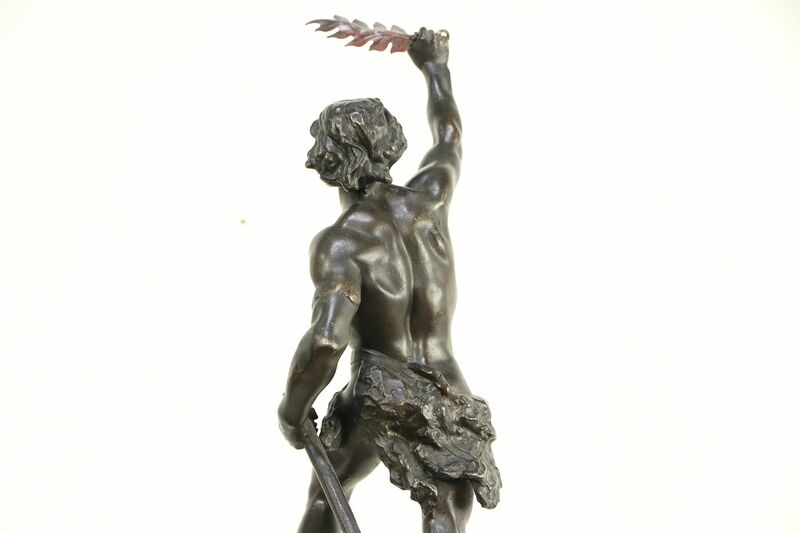 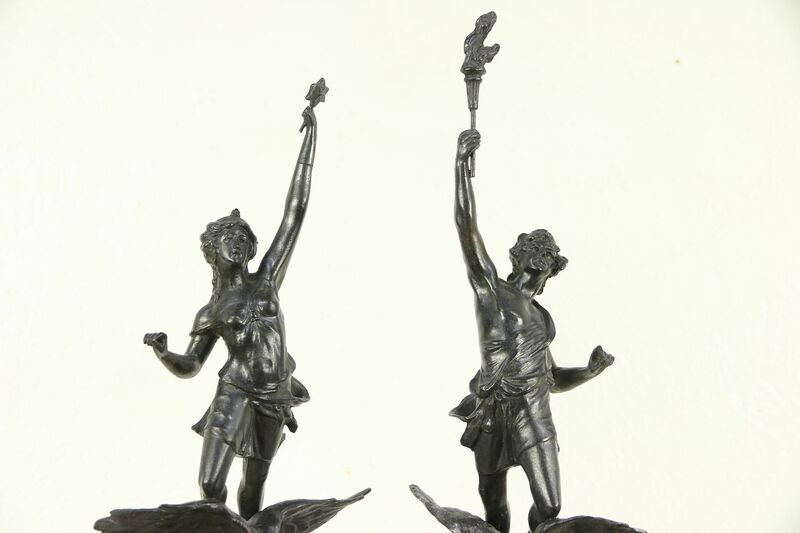 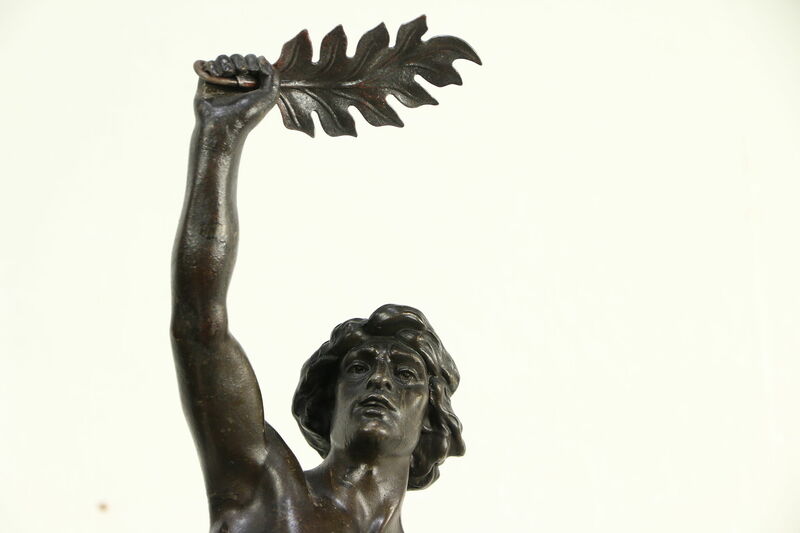 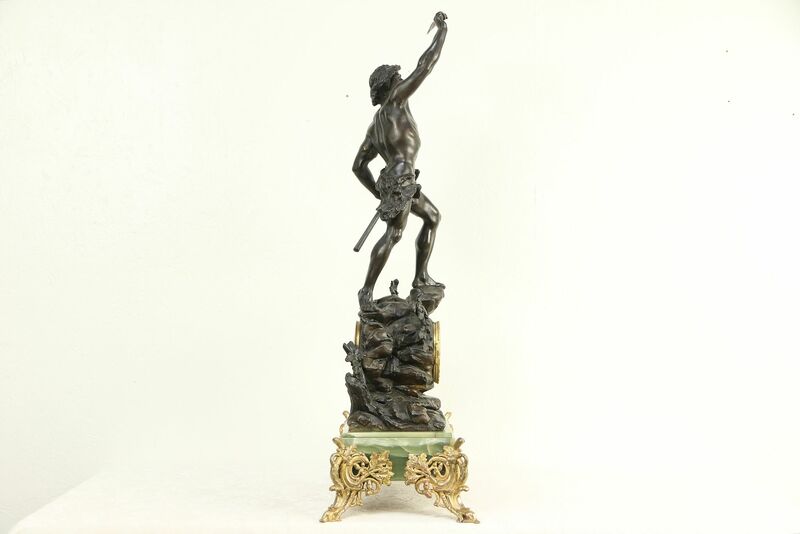 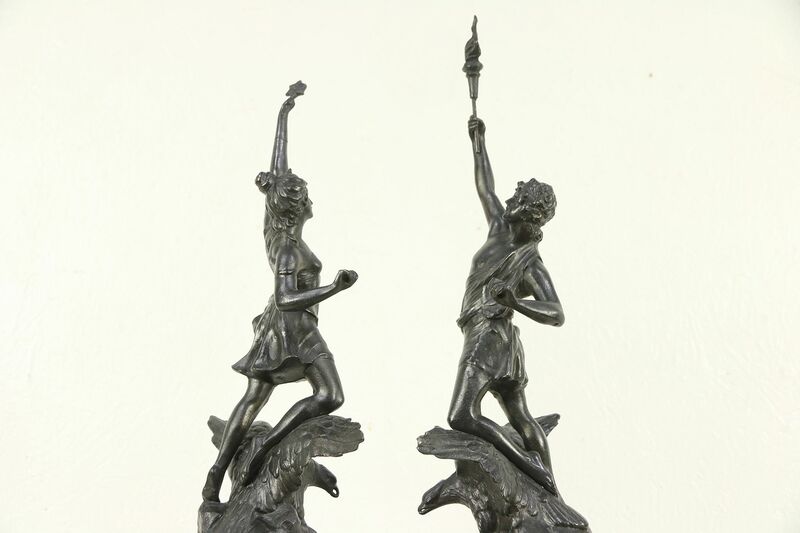 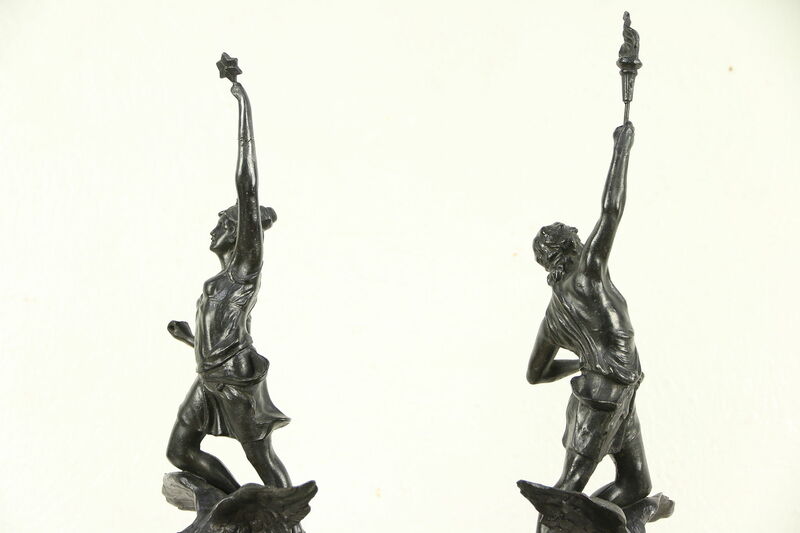 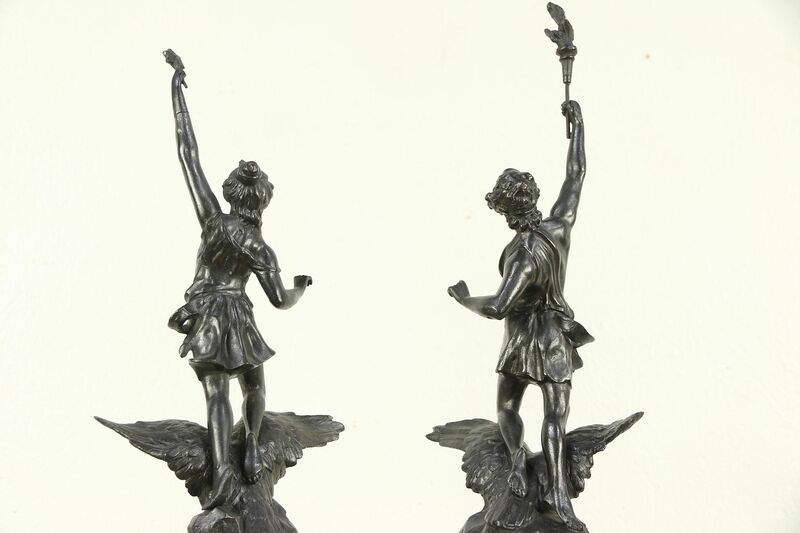 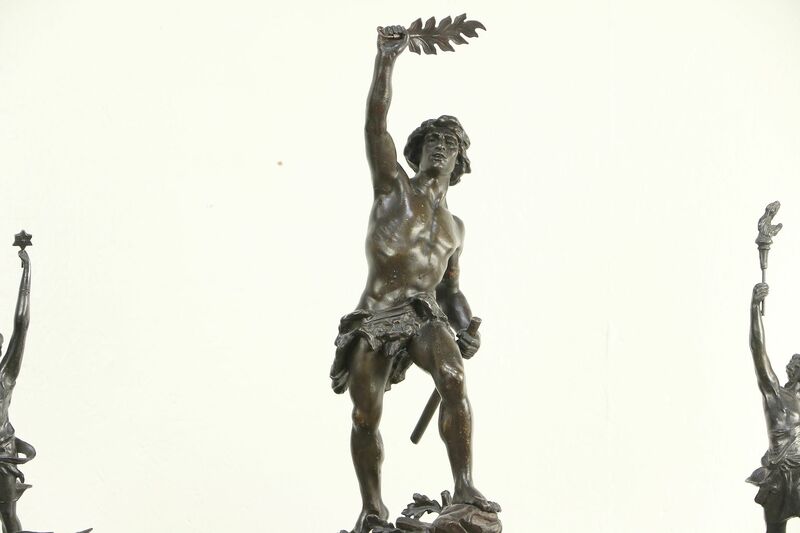 Cast metal statues have an original rich dark bronze finish, gold plated bronze feet are intricately detailed. 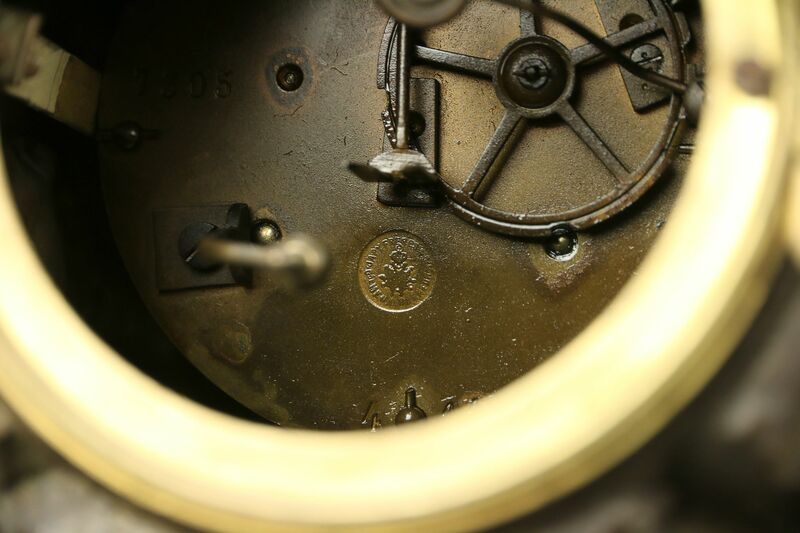 The brass movement runs accurately for a week on a winding, a silvery toned bell counts the hour and rings the half hour. 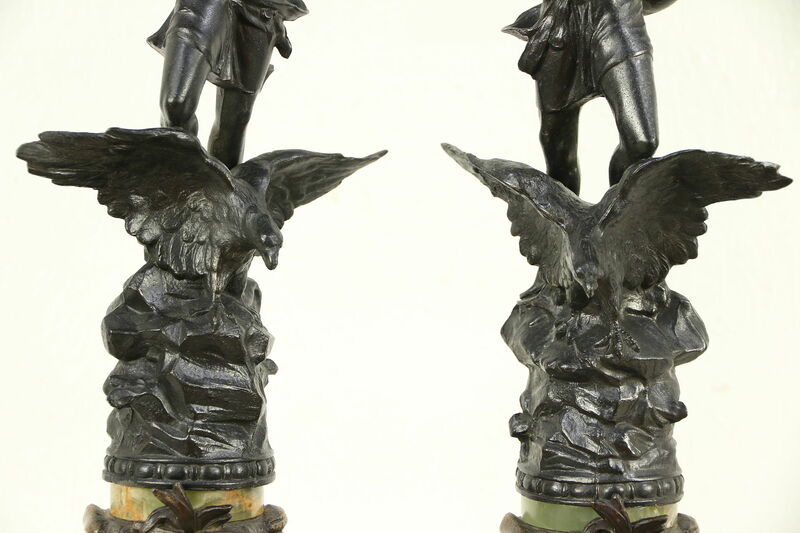 Dial numbers have been repainted, see photos. 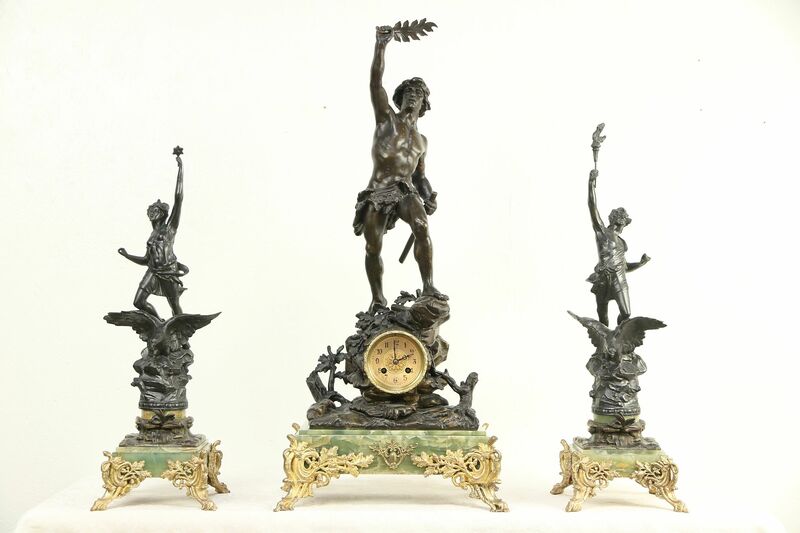 There have been various restorations over the years to this antique clock set. 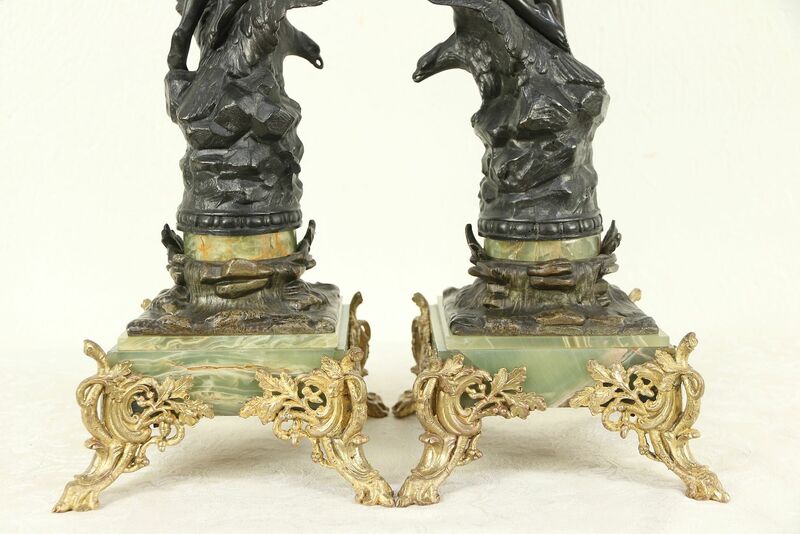 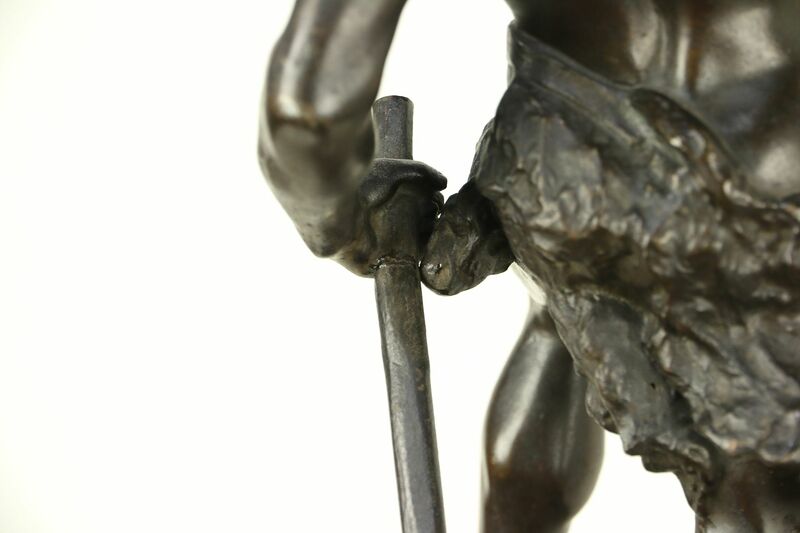 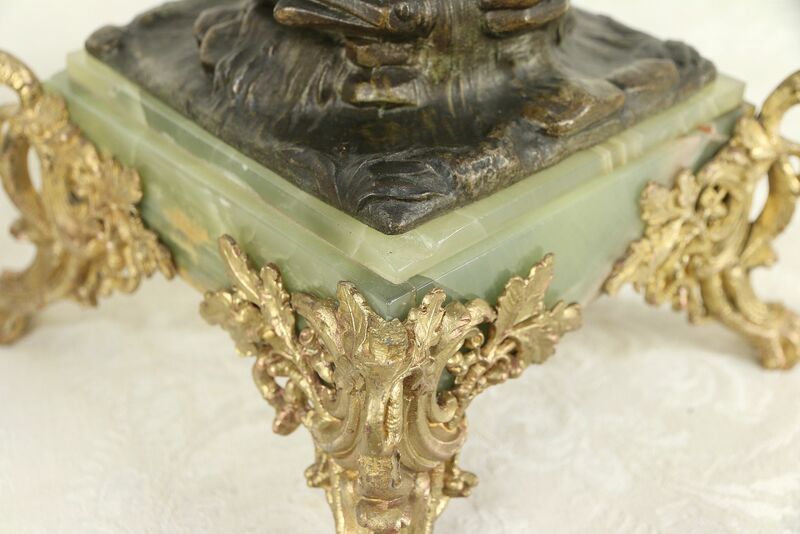 One of the side sculptures has losses to the onyx on the backside, see photos. 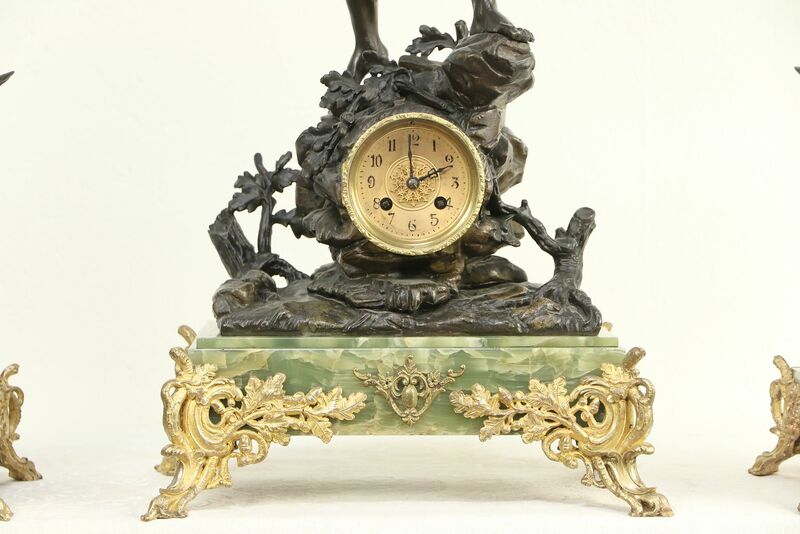 Dimensions of the clock are tip to tip 14" wide, 8 1/2" deep and 29 1/2" tall, side statues are 7 1/4" square tip to tip and 23" tall.